Are second referendums really “undemocratic”? In other words, May believes that it would be undemocratic to hold a second referendum to gauge if people still feel the same way about leaving the EU, now that they’ve seen what the consequences could be. So one referendum is good, but a second referendum is undemocratic and unworthy of the United Kingdom’s proud democratic traditions, according to May. However, by stating that a second referendum is undemocratic, May also implies that countries like Ireland and Denmark are undemocratic. In 1993, Denmark held a second referendum on the 1992 Maastricht Treaty. Ireland has done it twice, with the Nice and Lisbon Treaties. I’ll leave you to contemplate the fact that May are happy to accuse Ireland of being less democratic than the UK for a minute.. I’ll just add that both Denmark and Ireland ranks higher than the UK in the EIU Democracy Index. Denmark is ranked 5th most democratic country in the world and Ireland a joint 6th. For comparison, the UK is ranked outside the Top 10 as no. 14. So with regards to the claim that a failure to implement her Brexit deal would cause “catastrophic” harm to people’s faith in their politicians, I would argue that the damage has already been done. Big NGOs like Greenpeace can have enormous impact on people’s perceptions of environmental issues, but what happens when they use that power to further their own agenda, rather than the public good? Businesses all over the world are subjected to a multitude of legislation regulating their activities. This happens to ensure that human health and the environment are not harmed during their efforts to make money. Society tries to keep a lid on dubious claims about products and activities with the threat of litigation or fines. What happens however, when the dubious activities are carried out by non-profit organisations? NGOs have been instrumental in building up civil society in many countries, protecting rights and promoting progress. Accordingly, the regulations impacting these organisations are designed to facilitate and support, not to make judgement about their value or work. Under US law there is very little restriction on the freedom of expression and the US Government does not interfere with how NGOs accomplish their purposes. EU regulations state that NGOs are self-governing bodies, not subject to direction by public authorities. So what happens when NGOs overstep ethical boundaries, and harm both human health and the environment, while carrying out their activities? Greenpeace is one of the most influential environmental NGOs in the world. It has a code of ethics, which states that it is “committed to the highest possible standards of ethical, moral and legal business conduct”. They are also a founding member of the International NGO Accountability Charter. 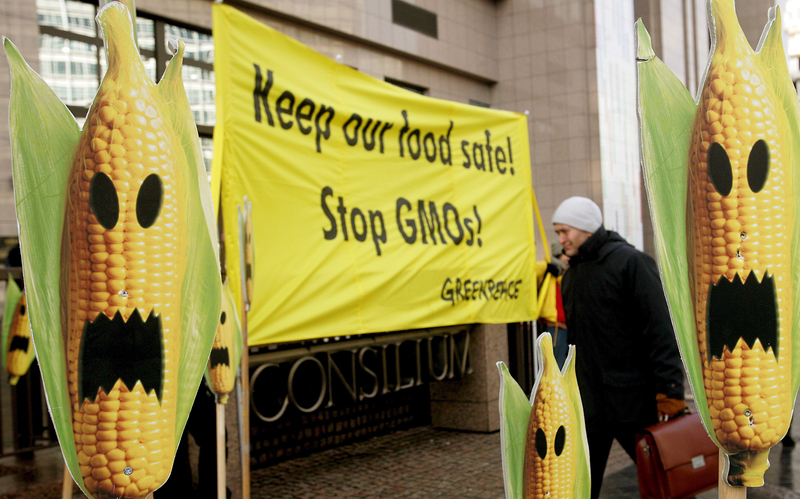 One of Greenpeace’s most prominent and longstanding campaigns is its efforts to get genetically modified (GM) crops banned worldwide. It claims that genetic engineering is a threat to the environment and human health. Additionally, its website states that GM crops should not be released into the environment since there’s not an adequate scientific understanding of their potential impact. Greenpeace has been very successful in this campaign. In 2015 the EU introduced legislation with the aim of permitting individual member states and regions to ban cultivation of GM crops. More than half of the 28 members have opted to do so. The problem is that Greenpeace is lying when they claim that the understanding of genetic engineering is extremely limited; and that we do not know the long term effects of releasing these organisms into the environment and into the markets for human food and animal feeds. The report stresses that GMOs are not products in themselves, but are outcomes of processes by which scientists are trying to achieve certain characteristics in new crop varieties, exactly like conventional plant breeders do. In other words, all plants and crops we eat have been genetically modified for thousands of years; ever since the first farmers began selecting and breeding the plants giving them the best yields and the desired taste. Greenpeace is ignoring these facts while very skilfully manipulating the media and playing on people’s fears of a new technology they don’t understand. In Europe and North America this might not be a problem, because we can afford to choose what we eat. In poorer parts of the world however, where they do not have this luxury, it might cost people their health and even their lives. More than 100 Nobel Prize winners have recently signed an open letter asking Greenpeace to stop its efforts to block GM crops. They single out Golden Rice, a crop previously labelled as “environmentally irresponsible and risky to human health” by Greenpeace. Golden Rice contains an artificially inserted gene which boosts the level of vitamin A rich beta-carotene the plant produces. The World Health Organisation estimates that a quarter of a billion people in developing nations suffer from vitamin A deficiency. This causes two million preventable deaths a year and half a million cases of childhood blindness. This is a problem that Golden Rice could help rectify. Does harm and profit go hand in hand? So, is it acceptable to wilfully ignore scientific evidence and promote your cause, even if it harms people’s lives, as long as you are a non-profit organisation? Is it OK to manipulate the truth, if as long as you don’t do it for profit? Or, should environmental NGOs be regulated, held accountable and put under the same expectations for ethical behaviour as for-profit organisations? I say yes, because the harm you can do doesn’t depend on how much profit you make. Food packaging is not a subject that gives a lot of people sleepless nights. Packaging is considered a waste product. It’s something we remove from our groceries and put in the bin as soon as we return from the supermarket. Our food, especially fruit and vegetables, look more authentic without it and we don’t feel it has any value. On top of that, it creates enormous piles of waste. Consequently a number of charities and environmental organisations have sprung up over the last 10-15 years advocating for consumers to buy unwrapped fruits and vegetables, to buy in bulk instead of smaller boxes and packages, and to buy fresh fruit and greens instead of frozen or tinned products; all in an effort to reduce unnecessary packaging and create less waste that needs to be disposed of. There are even those who have encouraged people to remove packaging from their groceries before leaving the shop as a form of civil protest; to tell the stores and manufacturers that we want less packaging, not more. The problem here is that a lot of the advice aimed at reducing food packaging, ends up increasing food waste instead. We buy a large bag of salad instead of a small, and then we don’t manage to finish before it goes off. We buy unwrapped fruit and vegetables that’s been prodded and poked by other people in the shop, and therefore goes off sooner than we expected; so again we don’t manage to eat it all before we have to throw it away. Food waste occurs throughout the production chain, but a large part of it comes after the product is bought by the consumer. A comparative study found that in both the UK and the US we throw away about 25 percent of the food we buy. How do we square that circle? 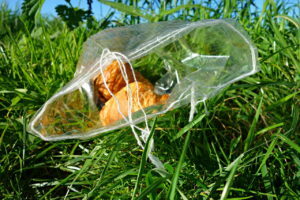 Wasting food or creating waste? And of the two issues, which is most pressing when we look at the bigger picture? The Food and Agricultural Organisation of the United Nations (FAO) published a report in 2011, estimating that each year, one third of all food produced for human consumption is wasted. That amounts to about 1.3 billion tons per year. Other estimates are even higher; some say up to 50 percent. This means that we are no longer able to produce enough food to feed all seven billion people on our planet. Consequently, around 1 billion regularly starve. On the other hand, how much energy is spent on producing the packaging for our food? Packaging that protects it during transport and makes it last longer. Packaging that consequently reduces food waste, because less of it will go off before we have the chance to eat it. Of the total amount of energy needed to get a food item to our kitchen table, around 80 percent is spent on producing the item itself, 15 percent on transport and only 5 percent on the packaging. So, if somewhere between one third and half of all the food produced on this planet every year is wasted, and 40 percent of that is wasted in the retail and consumer level, maybe those 5 percent spent on packaging is not the biggest issue? Yes, the packaging used to prevent and reduce food waste will of course still have be disposed of, but there are other options than to dump it in a landfill, where it will take hundreds of years to decompose. Efficient bottle deposit schemes can ensure that drinks bottles and cans are recycled (or even re-used) instead of ending up in the sea and other places where they doesn’t belong. In Denmark such a system has existed for many years, and the recycling percentage is now 90%. The deposits from the 10% unreturned bottles are used to fund and improve the system. It is also possible to burn plastic (and other) waste in in specialised power plants and create electricity and energy for heating that way. It creates a certain amount of CO2, but burning one ton of waste only creates a fourth of the CO2 burning a ton of oil would. Again, Denmark has such a system, and it works. Only four percent of all plastic waste in Denmark isn’t either recycled or burned to create energy. In my opinion, we should therefore not focus on reducing packaging, but on reducing food waste. With proper recycling systems in place to make it easy for customers to sort their waste; and bottle deposit schemes like the Danish, waste from packaging need not be the problem it is today. Combine recycling and burning with increased research into new forms of compostable packaging and we can hopefully get to a stage where we can produce enough food. That way, everybody can go to bed with a full stomach every night. Big NGOs like Greenpeace can have enormous impact on people’s perceptions of environmental issues. Their campaign against genetically modified foods is a good example. However, when they use that influence to further their own agenda, rather than the public good, it can have very serious consequences. Greenpeace is one of the most influential environmental NGOs in the world. It has a code of ethics, which states that it is “committed to the highest possible standards of ethical, moral and legal business conduct”. The organisation is also a founding member of the International NGO Accountability Charter. The problem is that Greenpeace is lying when it says the understanding of genetic engineering is extremely limited; and that we do not know the long term effects of releasing these organisms into the environment and into the market for food and animal feed. The US Academies of Science, Engineering and Medicine published a report earlier this year on the development, use and effects of genetically engineered organisms. They reviewed scientific evidence accumulated over the last two decades and examined almost 900 publications on the subject. The conclusion is clear: No substantiated evidence regarding the difference between GM crops and conventional crops. The report stresses that the genetically modified organisms (GMOs) are not products in themselves, but are outcomes of processes by which scientists are trying to achieve certain characteristics in new crop varieties, exactly like conventional plant breeders do. In other words, all plants and crops we eat have been genetically modified for thousands of years; ever since the first farmers began selecting and breeding the plants giving them the best yields and the desired taste. More than 100 Nobel Prize winners have recently signed an open letter asking Greenpeace to stop their efforts to block GM crops. They single out Golden Rice, a crop previously labelled as “environmentally irresponsible and risky to human health” by Greenpeace. Golden Rice contains an artificially inserted gene which boosts the level of vitamin A rich beta-carotene. The World Health Organisation estimates that a quarter of a billion people in developing nations suffer from vitamin A deficiency. This causes two million preventable deaths a year and half a million cases of childhood blindness. This is a problem that Golden Rice could help rectify. Is it acceptable to willfully ignore scientific evidence and promote your cause, even if it harms people’s lives, as long as you are a non-profit organisation? Is it OK to manipulate the truth, as long as your intentions are good? Or, should NGOs be regulated, held accountable and put under the same expectations for ethical behaviour as for-profit organisations? I say yes, because the harm you can do doesn’t depend on how much profit you make. Back in 2009 Rio de Janeiro won the rights to organise the 2016 Olympic and Paralympics games. During the bidding process, Rio branded its vision for the event as ”Green Games for a Blue Planet”. One of the major pledges made was the “cleaning and regeneration of Rio’s waterways and lakes, through government projects for major new water treatment and sewerage works”. The pledge was necessary because Rio has neglected to prioritise public sanitation for decades. This lack of focus, combined with intense urbanisation, has now created a city of more than 6 million inhabitants, many of whom do not even have access to basic sanitation. 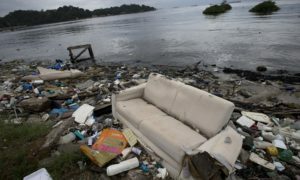 Raw sewage, including animal carcasses and household items, ends up in the Guanabara Bay on whose shores the city is located. This creates severe pollution and human health issues. Testing done by the Associated Press (AP) last July revealed some disease-causing viruses measured at levels up to 1.7 million times more than what is considered hazardous in the US and Europe. Water pollution in Rio de Janeiro is not a new issue. The Guanabara Bay Clean-Up Programme was launched in the early ‘90s by the state government. The aim was to improve environmental and sanitary conditions of the Rio metropolitan area. The programme has not made much progress. By 2008, only 32% of the total sewage was treated. A specific goal set in Rio’s bid book was to raise this level to 80% before 2016. This they have also failed to accomplish. The number currently stands at 49%. Despite the lack of action, and their acknowledgement of failure to meet own targets, Brazilian officials insist that there is no danger to the public including the sailors and surfers who are to compete in the bay. The German sailor Erik Heil, might disagree. Shortly after having sailed in an Olympic event test last August, he had to undergo treatment for a flesh eating bacteria. He is only one of the many athletes who have already fallen ill. Despite having had decades to deal with the problem, little has been done. It seems to be very low on the list of current priorities. Brazil is facing a deluge of problems: From a massive economic recession and a president being impeached for corruption. Additionally, huge public protests occur over the brutal evictions of residents from their homes, in order to make way for stadiums and the Olympic City. Regardless of the magnitude of problems, the Brazilian government seems determined that nothing is going to steal its moment in the spotlight; even though this enormous PR exercise costs approximately US$11 billion. This money could instead have been spent on improving the lives of the poor and the environment of the city they live in. The Brazilian government is not the only one to ignore the problems piling up on the eve of the games. The International Olympic Committee (IOC) is also burying its head in the sand, trying to ignore anything which might compromise the success of the first ever Olympic Games to be held in South America. The IOC has, amongst other things, reneged on a promise it made in the wake of the AP test report: A promise to carry out viral testing of the venue waters. It now states that the organisers are to follow test procedures established by the World Health Organisation (WHO). These focus only on testing for bacteria. Something that makes the results look a lot less scary, since bacteria breaks down in salt water a lot faster that viruses do. This refusal to deal with the problems isn’t because the IOC is without options. The Olympic Charter allows the IOC to withdraw the permission to host the games at any time if it has any concerns. The IOC seems determined to plough ahead though, even if it means running over its own Olympic Ideals in the process. Ideals which, among other things, state that the Olympic Movement is about “protecting the health of the athletes”. Evidently it seems that the IOC is ignoring its own principles. Likewise, Brazil is failing to protect its own citizens and live up to its international obligations. The UN Sustainable Development Goals, which include commitment to ensure availability and sustainable management of water and sanitation for all, seems to have been willfully ignored. Why? To make sure Rio looks good on the world’s TV screens for a few days in August. This piece was originally published as part of Politheor’s Special Report RIO 2016: Perspectives beyond the mega event.